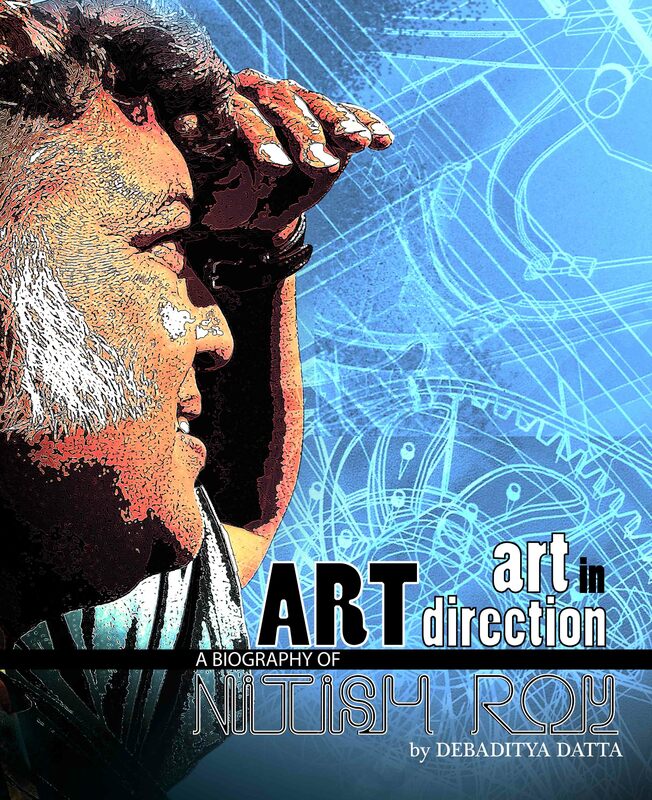 In this book, Nitish Roy narrates in his own words, his journey as a creative person in the film industry. It spans over four decades, starting in the seventies when a young Nitish came out of the Government Art College of Kolkata as a fresh graduate with fresh ideas and a burning passion for participating in the creation of films. Art direction is the path he chose and went along in his professional journey. His creative participation in film is of making a very important element of the film – the sets. Any good film strikes a chord not only for a very good story, but also for a few technical elements out of which making realistic and innovative sets is one. They create the backdrop on which the drama unfolds in a film. Nitish's deep observation of variedly different human environment, habitats and lifestyles and his innovative way of reproducing the correct make-believe visual backdrop for the screen play of a film is his forte. His thorough understanding of the technical medium and his prowess in handling all sorts of situations was the key to the success and recognition that he came across in his long journey. He changed the way art direction was given in a film. His visualization of scenes of the screenplay was quite unique when he started his journey. Nitish's understanding of how the mind of a cinematographer works always resulted in designing such sets which gave ample scope to the latter and the director to capture the scenes in more than one way. The visual narration of a screenplay became very powerful in whichever film Nitish has ever worked and that resulted in a very strong chemistry with the directors and the cinematographers of the films he worked in. This book will be interesting not only to people who are involved in film making but also to those who love watching films. Film lovers will be able to understand how vital the role of an art director is in the creation of a film. And how Nitish Roy paved a path for the young and aspiring art directors to tread upon.